Chad is an MK from South Africa, Botswana, Zimbabwe, and The Netherlands. He spent his first 18 years overseas. He also served MKs, internationally, in Singapore and Belgium. 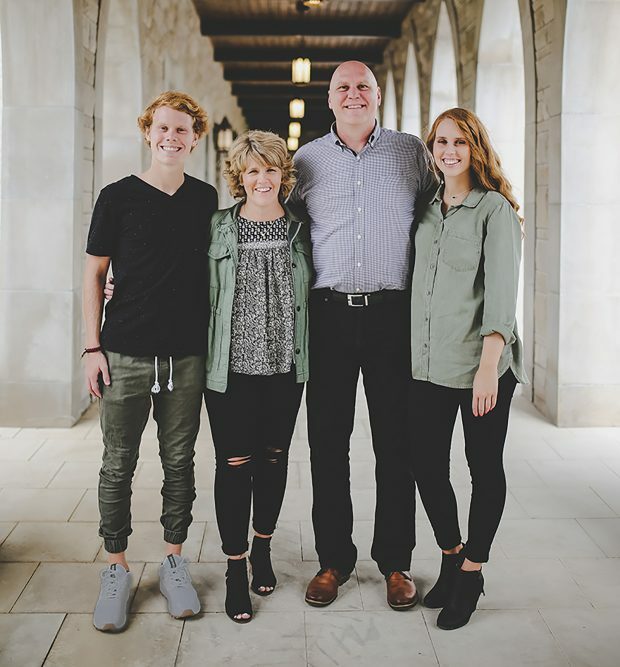 Chad has been directing International Society of Missionary Kids (ISMK) since 2004, and continues to coach MKs (and their families) on a global scale. He has an M.A. in Christian Ministries from AGTS, with an emphasis in life coaching and eight years of professional life-coaching experience. After graduating high school from The American School of The Hague, Chad went to North Central University in Minneapolis, and did his internship in Singapore. It was during his college years that Chad met his beautiful bride, Dargan. Dargan comes from a military home. Her father spent twenty two years in the United States Air Force. Because of his military position, Dargan moved frequently as she was growing up. Following college, Chad and Dargan were married and worked with youth in Aurora, Colorado. After 3 years in Colorado, they transitioned to work in Brussels, Belgium. They served the youth of Europe from 1994 to 2004 when they assumed the leadership of the International Society of Missionary Kids (ISMK). Katherine was born in Brussels, Belgium. She was enrolled in a Belgian, French-speaking Kindergarten; attended a small international school; was homeschooled; and ultimately, graduated from an American public high school. She is currently studying Social Work at Southwestern Assemblies of God University in Waxahachie, TX. She loves her MK experience, and loves being around other MKs. Graham is currently a university student, double-majoring in Computer Information Systems (CIS) and Business Management. He enjoys studying French and hopes to do an internship in France. He also loves being an MK! Would you consider supporting the Phillips family? By doing so, you will be investing in EVERY missionary family around the world! You can also go directly to AG Giving to give a one-time donation or to setup a monthly commitment.